Obituary – VanBebber, Jack Francis « Perry High School Alumni Association, Inc.
﻿Former Olympic champion Jack VanBebber, 78, 1908 Lakeview, died at 9:15 p.m. Sunday at Bellvue Nursing center at Oklahoma City. Funeral will be at 10 a.m. Wednesday at the First Baptist church. Rev. Rick Markham, the church pastor, will officiate. Burial will be at Grace Hill cemetery under direction of Brown Funeral home. VanBebber, the son of Francis and Ila (Jeffery) VanBebber, was born at Perry, July 27, 1907. He was a 1927 graduate of Perry high school and a 1933 graduate of Oklahoma State university. During his years at OSU, he was undefeated in the sport of wrestling. VanBebber received seven national medals in wrestling and in 1932 was an Olympic gold medal winner in that sport. He served with the United States Army during World War II. VanBebber and the former Julia Eleanor Slough were married in 1939 in Wellington. Texas. VanBebber was an employee of Phillips Petroleum company for 35 years. He was a member of the First Baptist church and the Masonic lodge. In addition to Mrs. VanBebber, of the home, survivors include two brothers, Ralph, of Velma, Okla.; and Earl, of Tracy, Calif.: and one sister, Mary Lillian VanBebber, Axtell, Kan. The sun was shining brightly in the early spring of 1913 and 6-year-old Jack VanBebber was eager to take the wagon ride that helped shape a now dusty Oklahoma wrestling legend. As the wagon rolled along near Perry, a jolt tossed VanBebber onto the ground. Stunned, he was unable to scramble out of the path of one of its wheels before it ran over him. VanBebber ruptured his sternum and punctured a lung. The doctor who attended to him wondered if he would live. Though his physical activity was limited for five years, VanBebber recovered enough to get into a schoolyard fight with an older student in middle school. Perry wrestling coach Frank Briscoe sent VanBebber and his sparring partner to the school gym. The pair put on boxing gloves, and VanBebber was knocked out cold, but Briscoe was impressed with the skinny kid’s determination. Jack became a Perry Maroon and went on to Oklahoma State, where he wrestled under coach Ed Gallagher. He won every match he wrestled by pin, including three national championships. As a college student, he lived on the family farm near Perry. VanBebber would walk or run the nine miles to Stillwater and back most days. 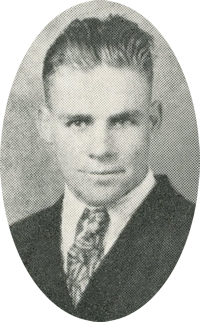 After college VanBebber earned a spot on the U.S Olympic team in the 1932 games in Los Angeles. He worked his way into the gold medal match against Finland’s Eino Leino. The match was scheduled for 6 p.m., but nobody bothered to tell VanBebber the time of the match had been changed. Earl VanBebber has a slightly different version of the story. He said the car Jack was riding in broke down, and Jack ran the final three miles. Regardless, VanBebber beat Leino and won the gold at 158 pounds. Back home on the family farm in Perry, the news was met with excitement but not surprise. Earl VanBebber went on to OSU and won a national championship in 1941. Jack stayed in Los Angeles, working odd jobs to save money for the trip back home to Perry, where he was given a hero’s welcome. He married his college sweetheart Julia and coached at Texas Tech and dabbled in pro wrestling before eventually taking a job with Phillips Petroleum. When World War II came, Jack enlisted in the Army, fighting in the Pacific, where he contracted malaria. VanBebber laid down his roots in Texas in the oil business but returned to Perry to visit family. Van Bebber and his wife never had children. 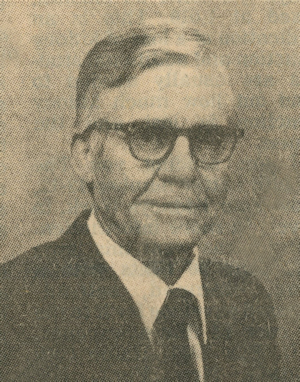 He retired from Phillips in the early 1970s and moved back to Perry near the end of his life. He died quietly in a veteran’s hospital on April 13, 1986. Julia moved back to her native South Carolina and passed away in 1999. Earl VanBebber is the last of a family of 11. Later on in life Jack would occasionally tell the tales of his wrestling career to Passow and Smith, but the boy who grew up on a hardscrabble farm on the Oklahoma plains remained modest until the end.